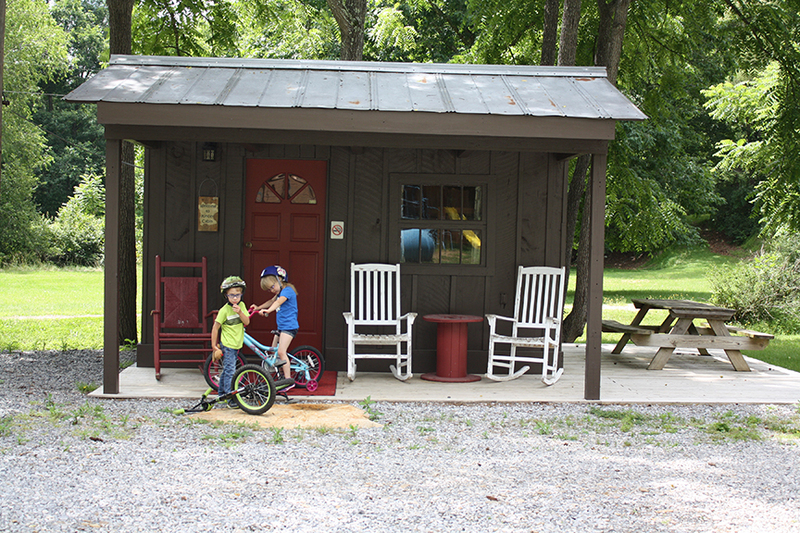 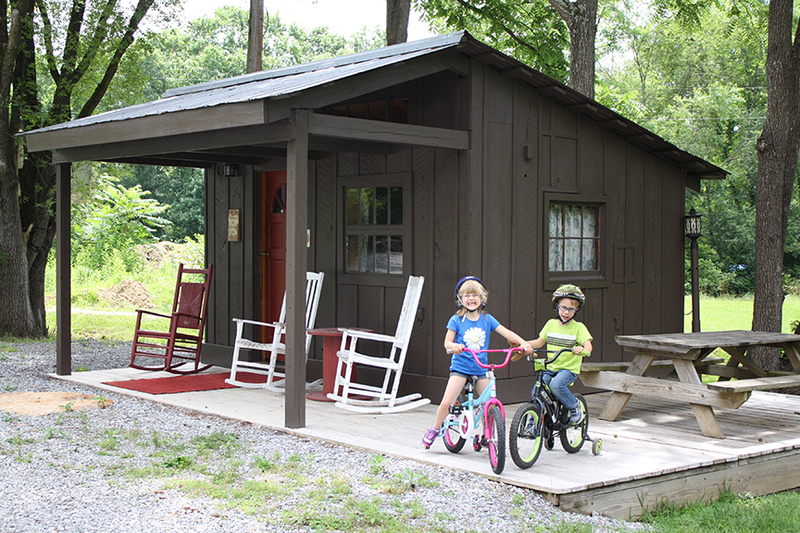 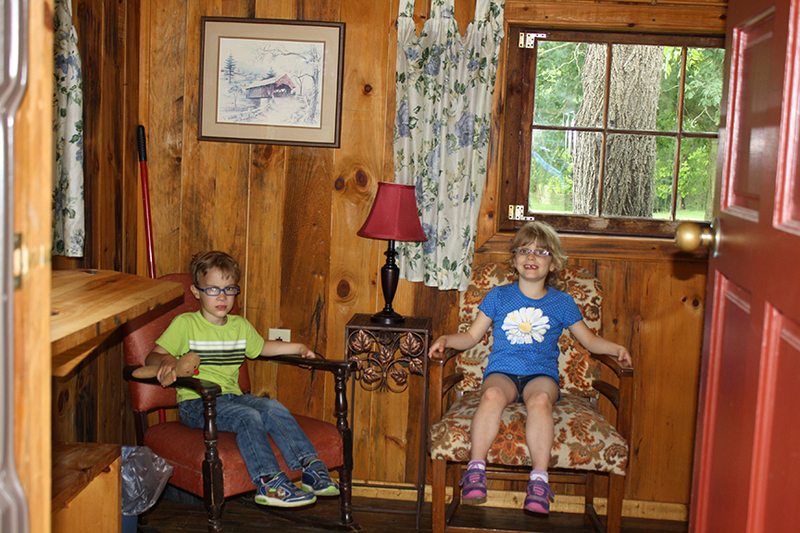 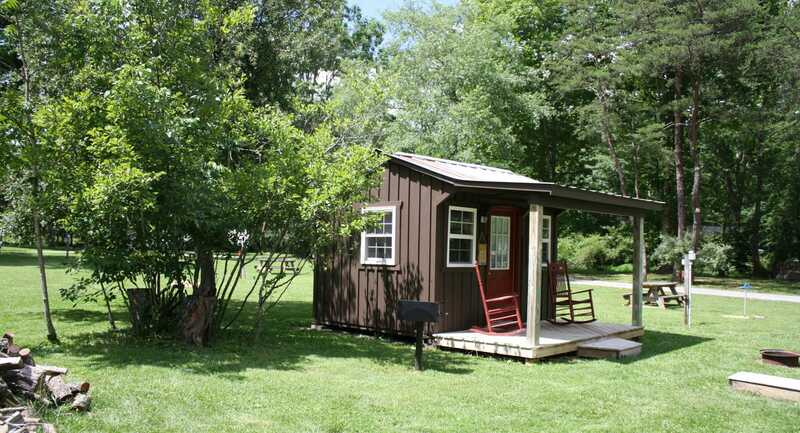 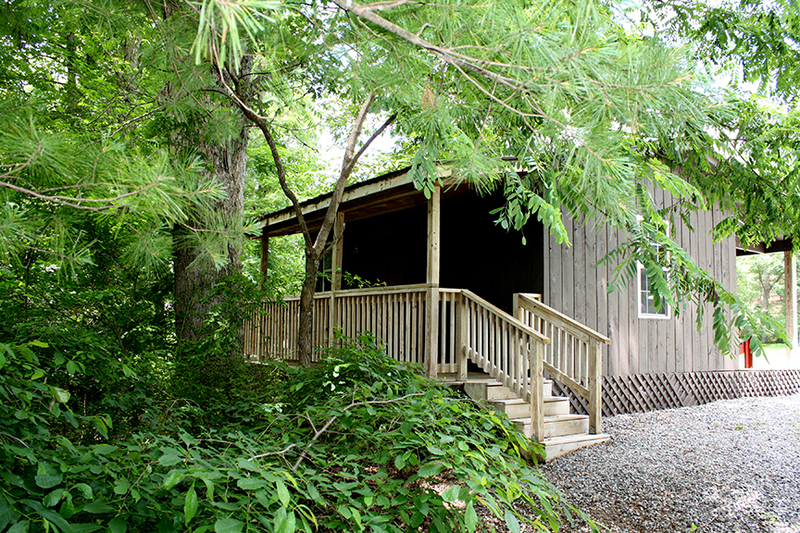 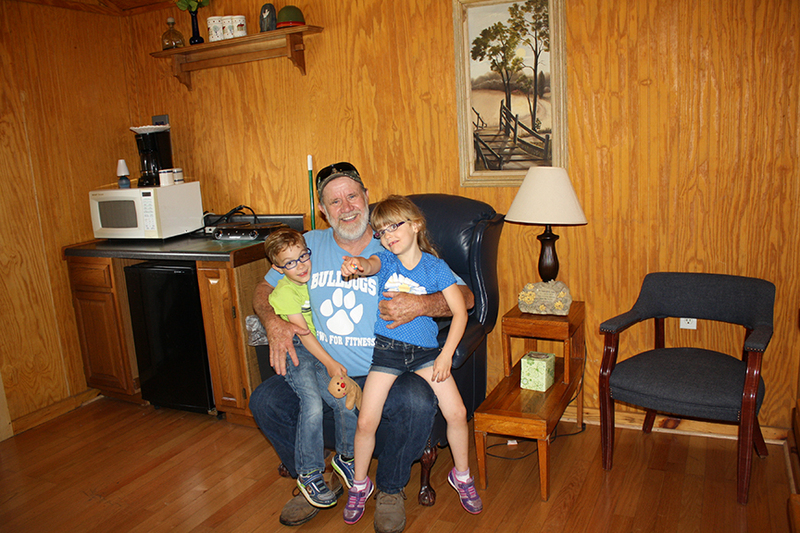 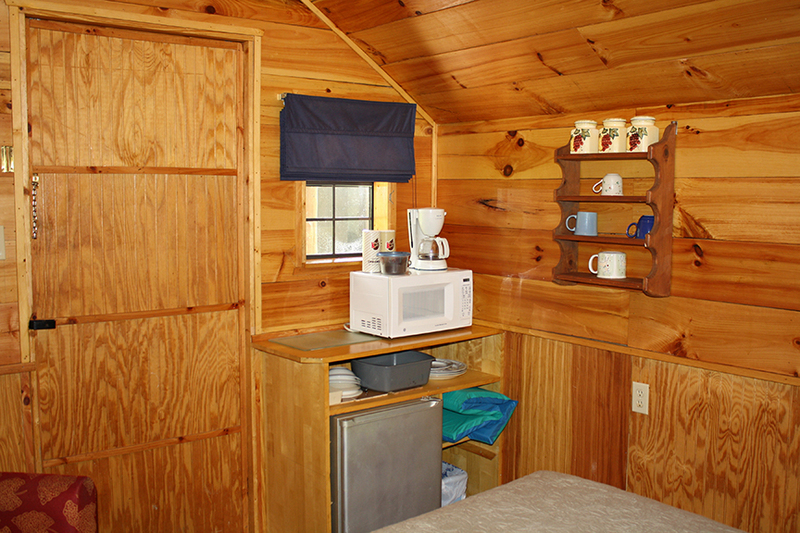 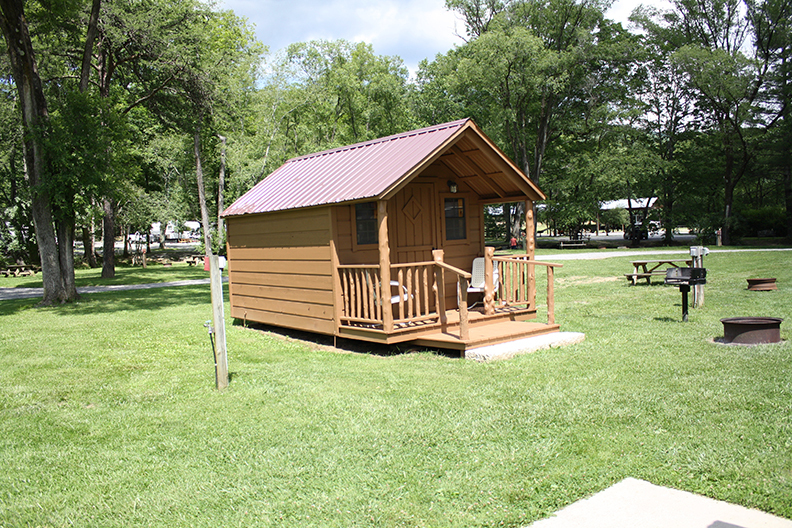 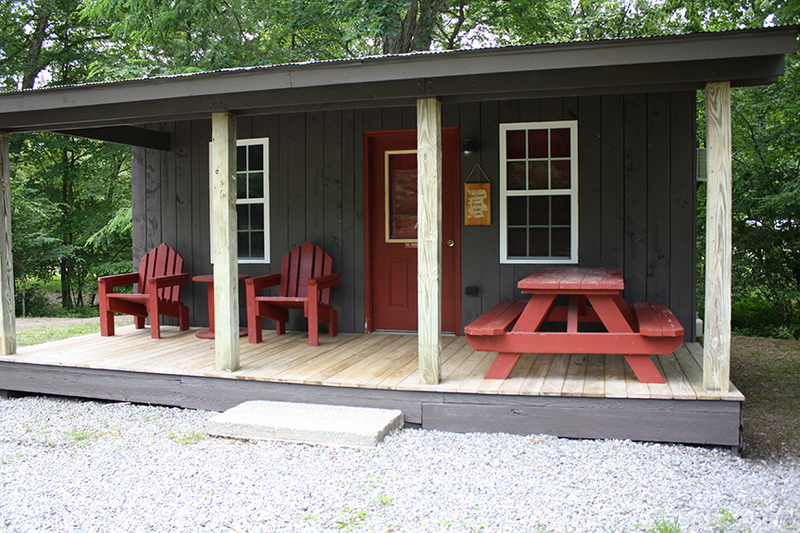 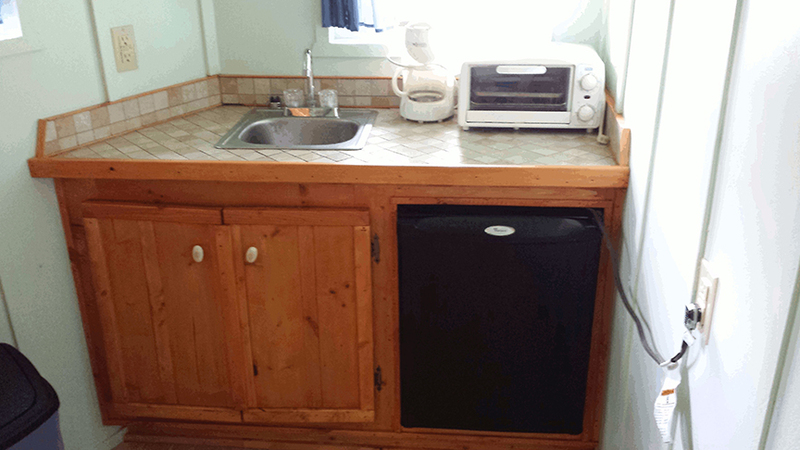 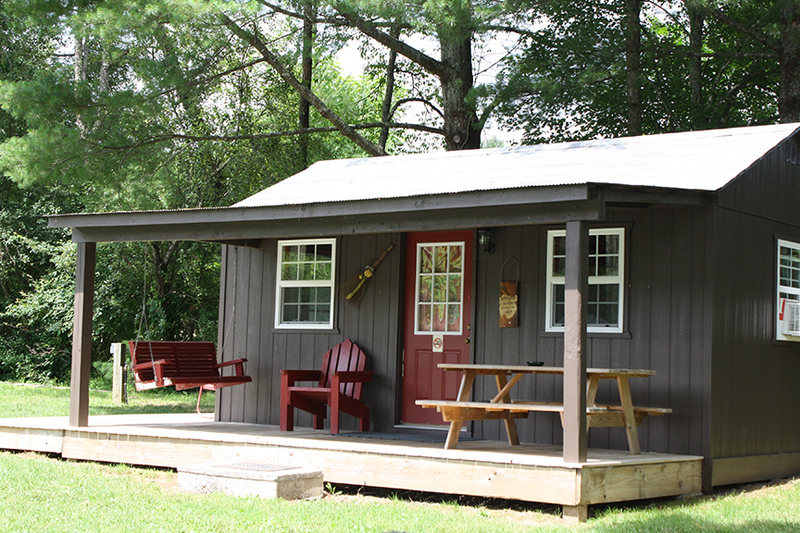 All our cabins have a mini fridge, microwave, coffee pot, covered front porches, charcoal grill and picnic tables. 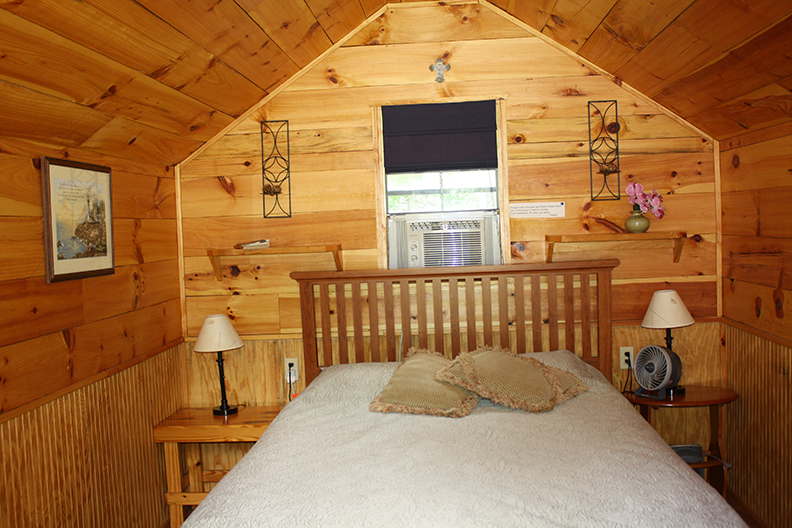 Cabins are AIR-CONDITIONED, except the Kincer Cabin. 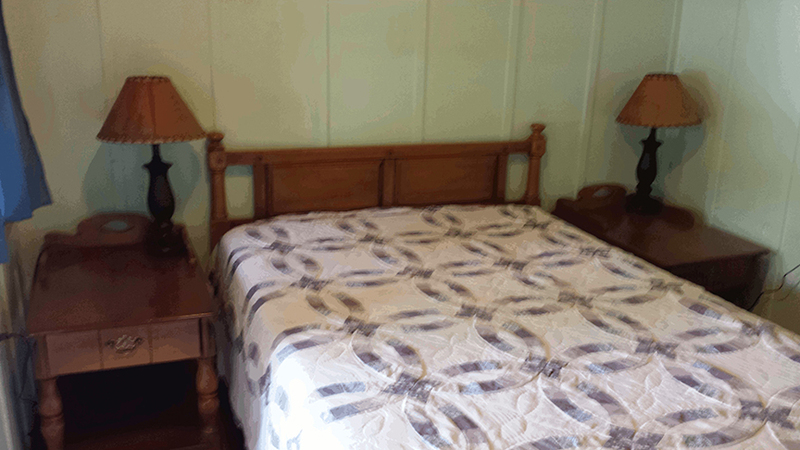 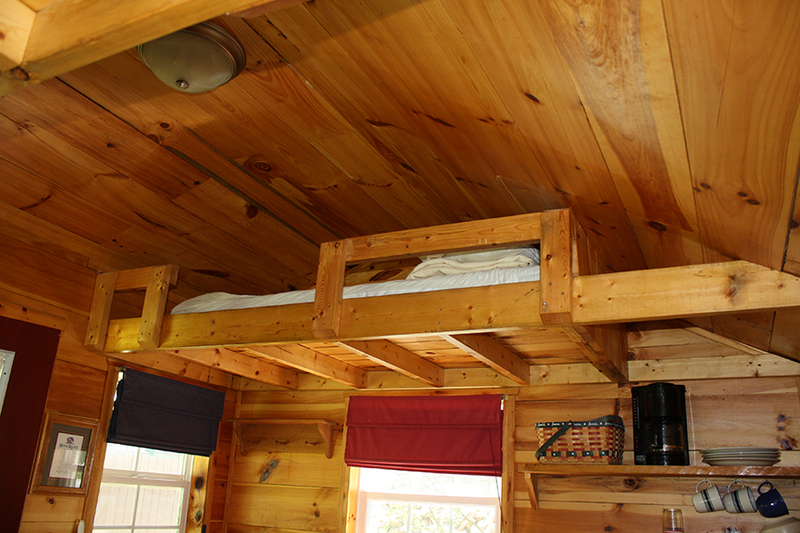 All cabins will require Linens, which must be provided by campers. 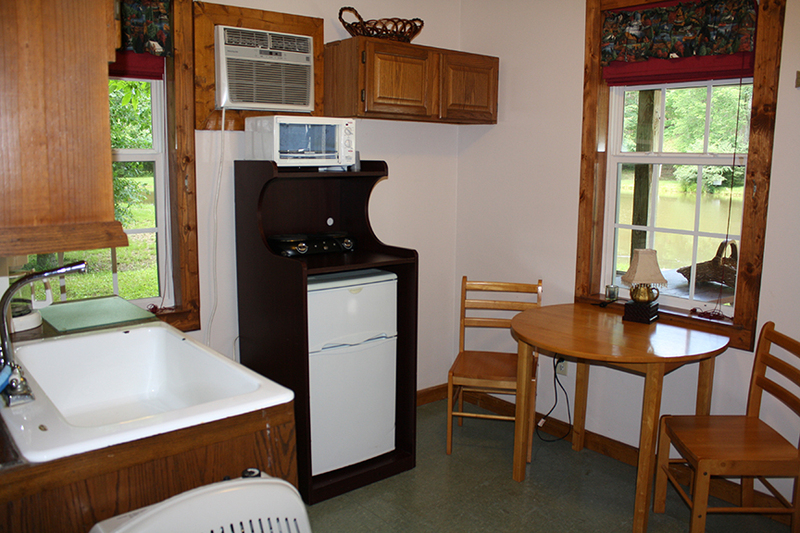 This includes sheets, blankets, towels, dish towels, ETC. 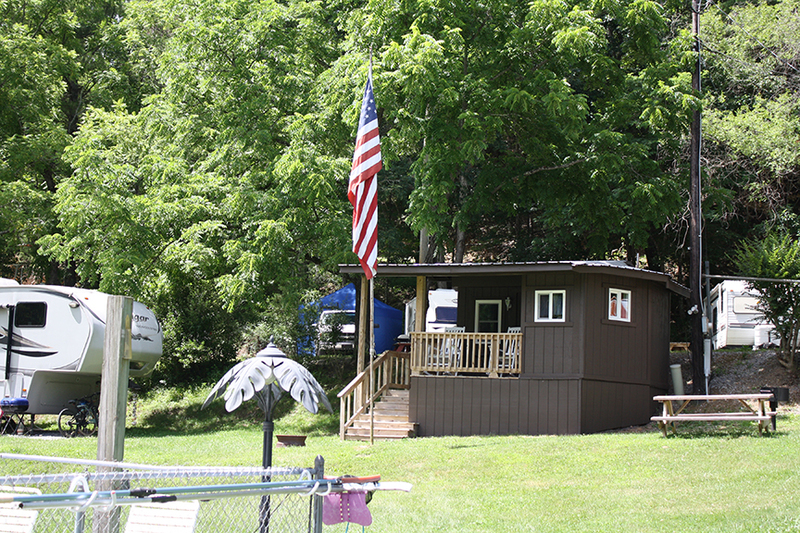 Pets allowed in the cabins with a pet cleaning fee of $25.00. 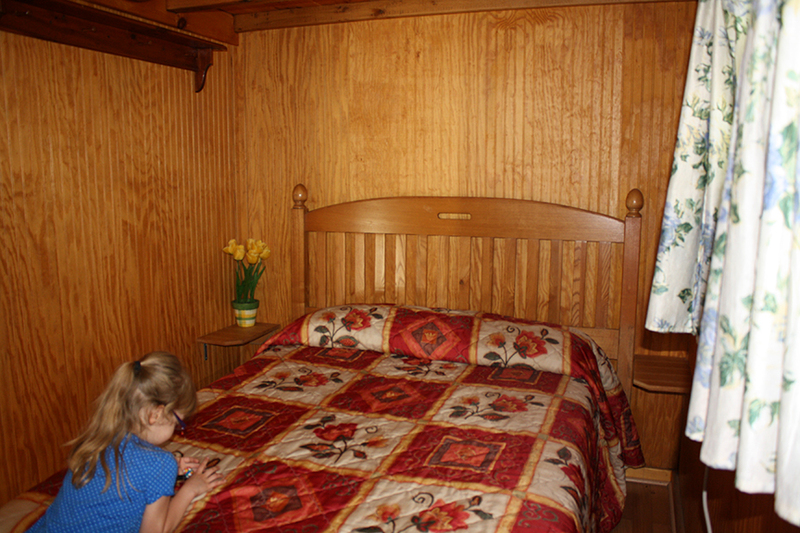 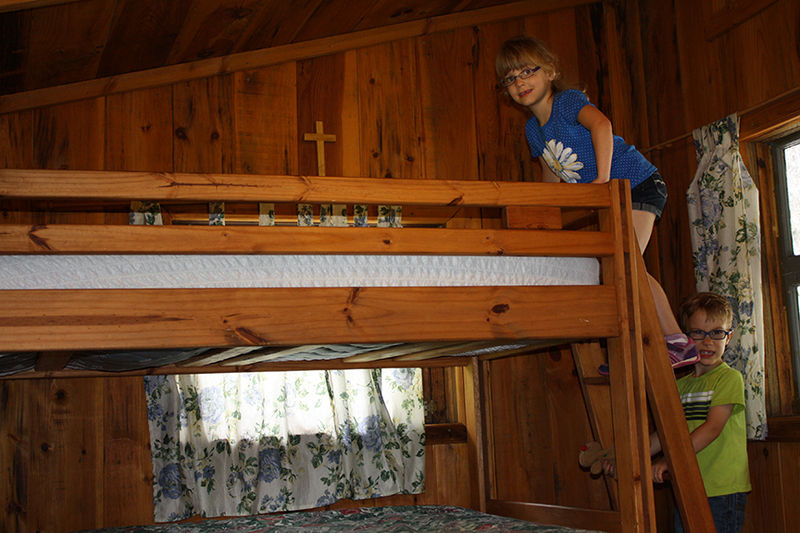 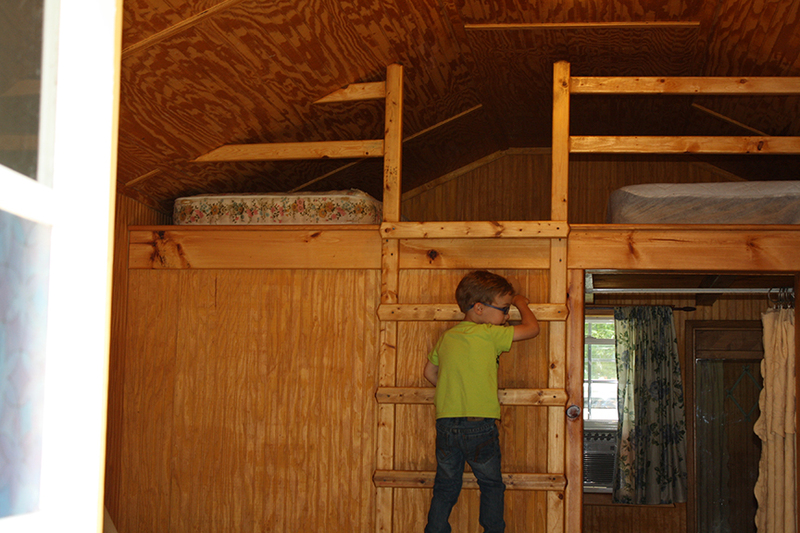 Bunk house Cabin has full size bed and 2 kid size bunks. 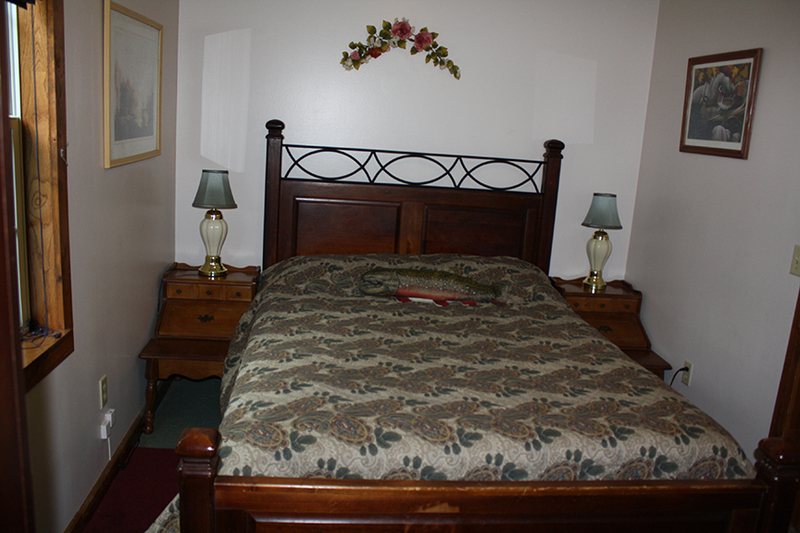 $89.00 night.